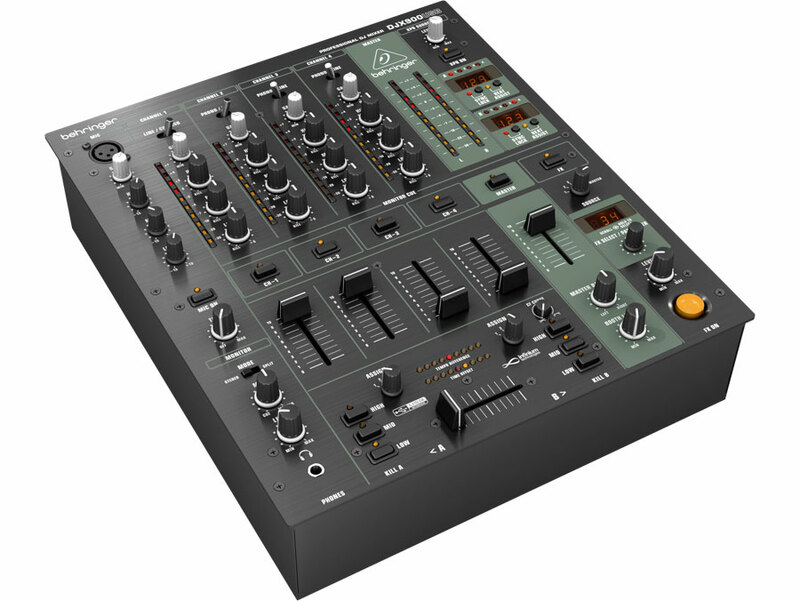 What do you get when you merge the highly successful PRO MIXER DJX750 with the super-smooth infinium "contact-free" optical crossfader and built-in USB connectivity? You get the DJ mixer that’s sure to set a new industry standard—the BEHRINGER DJX900USB. 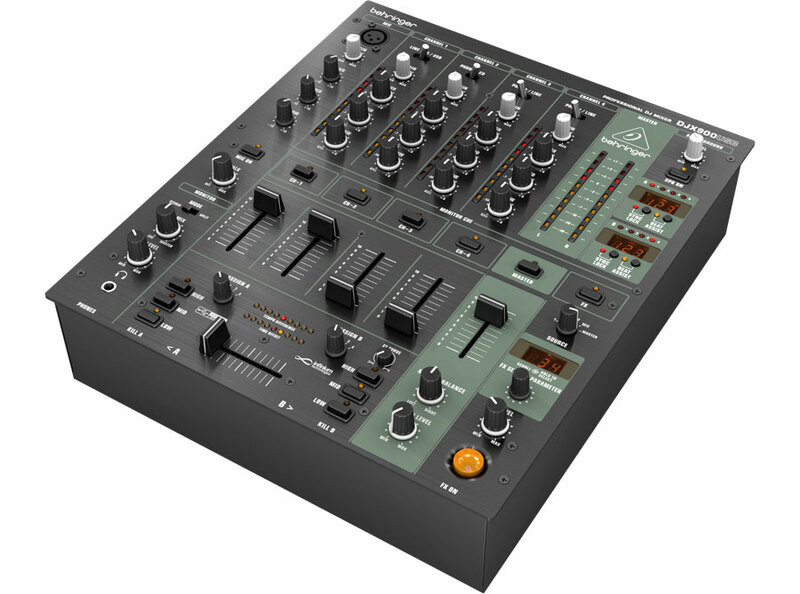 The DJX900USB features our super-smooth channel faders and the infinium "contact- free" VCA-controlled optical crossfader for the ultimate in reliability and state- of- the- art audio performance. A dedicated CF Curve control allows you to custom-tailor the crossfader’s control characteristic, and you can even set the crossfader tension just the way you like it. When we began design on the DJX900USB, we knew we had to do something very special. We took our best analog DJ mixer and revved up the FX processor, putting advanced parameter control right at your fingertips. No longer confined to rigid presets that limit creativity, you can change FX parameters on-the-fly, pushing your performance to the next level. In no time you can create powerful sets with your own custom-tailored effects sounds, all of which can be controlled in real-time. We also included a professional USB audio interface, so you can play tracks directly from your PC/Mac computer or an external thumb drive. Because your voice is your instrument, the DJX900USB features a dedicated mic channel with a built-in Talkover function that automatically detects your voice and brings down the volume of the music track (referred to as "ducking"), so your voice is always out front. Vocal fine-tuning is handled by the onboard 3-band EQ, which provides up to 15 dB of boost or cut at Low (80 Hz), Mid (2.5 k), and High (12 kHz) frequency centers—for an extremely btonal palette. 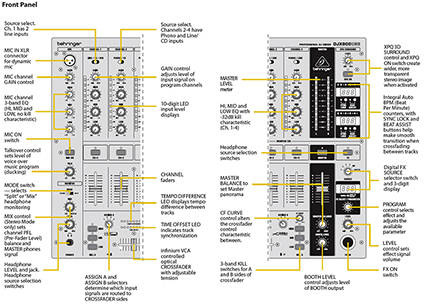 Stereo channel EQ operates at the same frequency centers, providing a boost of up to 12 dB or a cut of as much as -32dB. Equipped to handle any conceivable input source, these channels accept everything from line level, phono, CD and tape decks to MP3 and minidisk players. Sync’ing up tracks is an art unto itself—that’s why we gave the DJX900USB dual Auto BPM Counters. This cool feature helps take the guesswork out of making a smooth transition from one track to the next. Each BPM counter’s digital display shows which channel it is tracking and the tempo of the music in beats per minute. Optionally, you can push the Beat Assist button in time with the song to manually enter the tempo. You get a read out of the tempo difference between the tracks, as well as a visual confirmation when they are in sync. These tools will help you seamlessly align two tracks—without having to rely solely on your ears. Making music sound larger than life is what it’s all about and the DJX900USB comes through on this in a big way. XPQ 3D Surround widens the stereo field, giving it immense depth and a stereo image that is full of life, with amazingly transparent sound. You determine the intensity of this stunning effect with a simple twist of the Surround control—from barely noticeable to supremely spectacular. 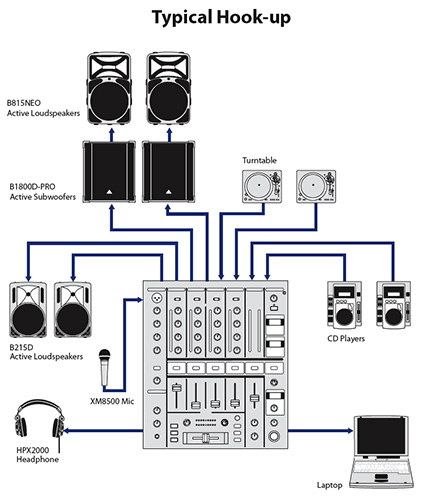 None of the above-mentioned features would amount to much if the DJX900USB didn’t sound truly remarkable. That’s why we equip each one with our tried-and- true ULN (Ultra Low-Noise) preamps: what goes in comes out, with nothing added. So you get maximum headroom, extremely low noise and ultra-transparent sound. 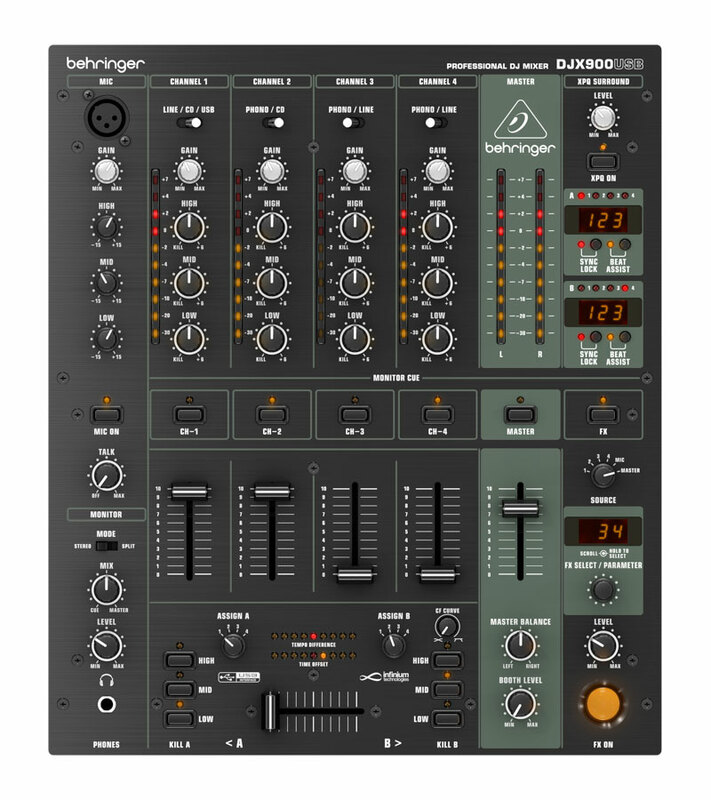 Compare it to the competition for sound quality, features and value and you’ll see why more and more DJs are making the move to the new BEHRINGER DJX900USB.